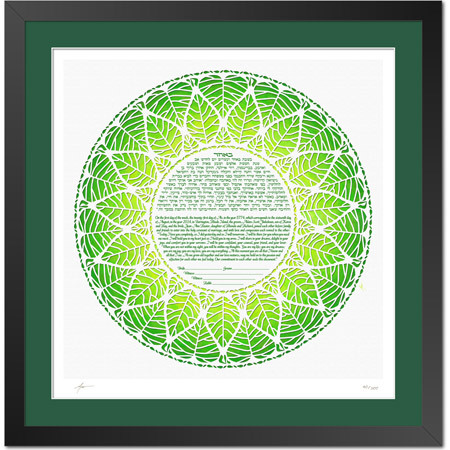 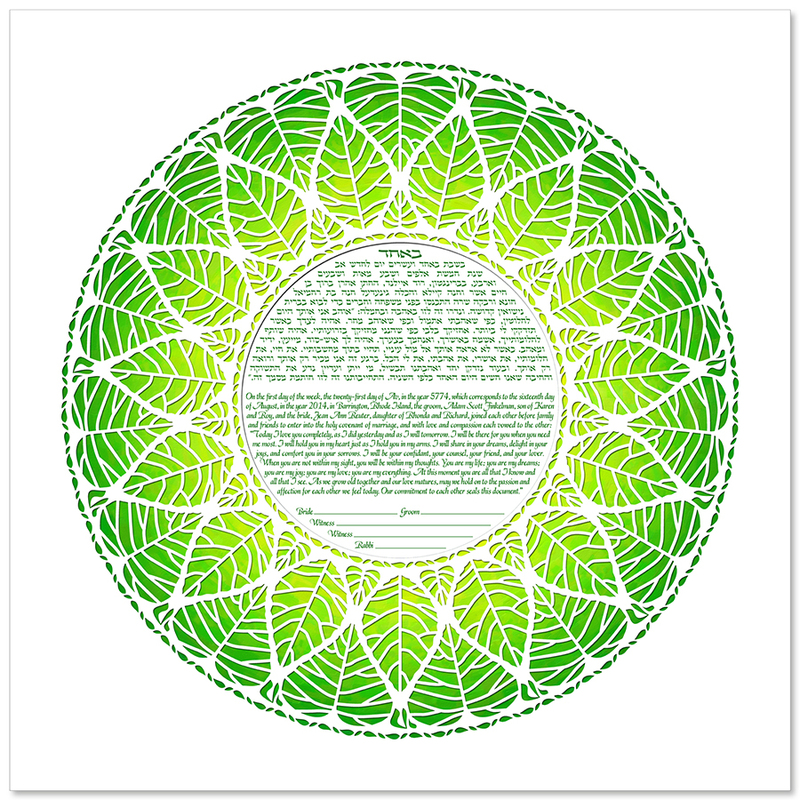 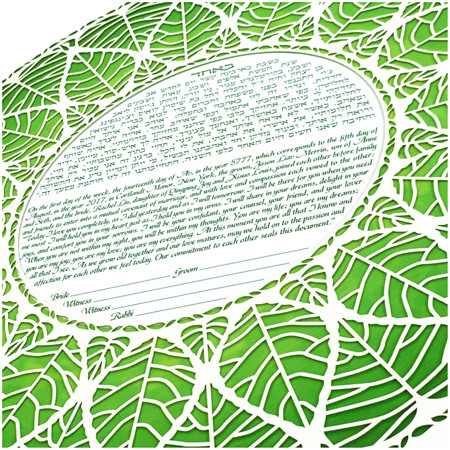 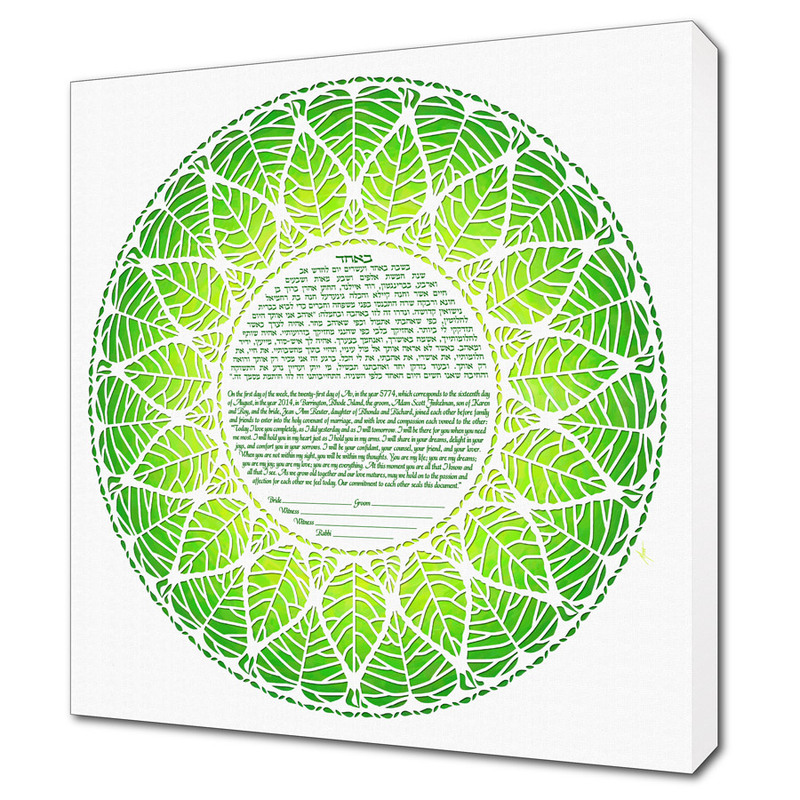 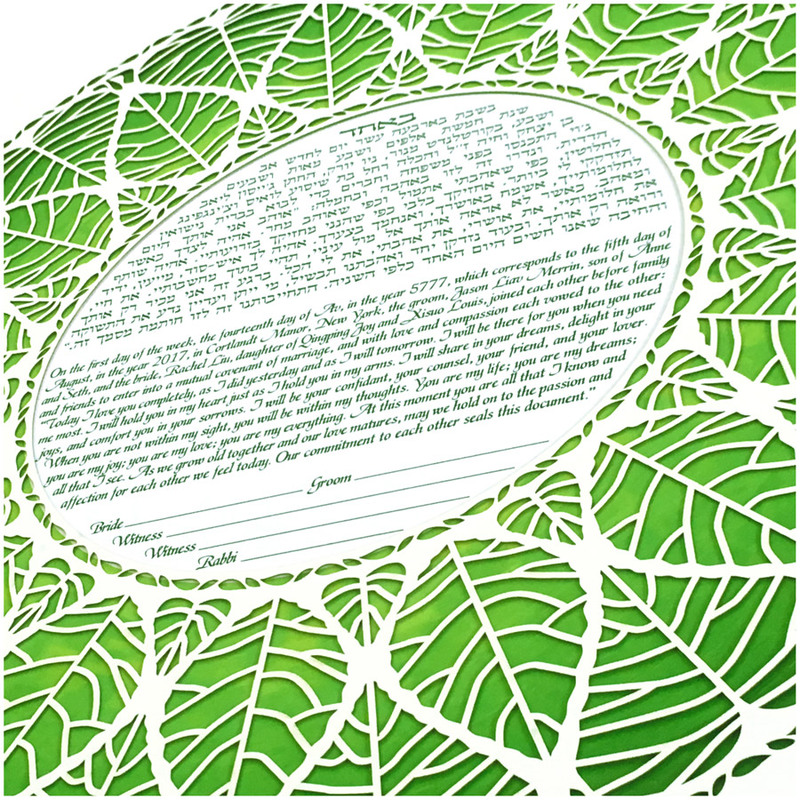 ketubah4less : 13" x 13"
Papercut : 20" x 20"
Standard : 20" x 20"
This nature-inspired ketubah design incorporates a pattern of leaves forming a beautiful ring, reminding one of a wedding ring and the unending love a couple shares. The inner leaves form a flower like design surrounding the text with heart shape leaves filling in the spaces surrounding the "flower." 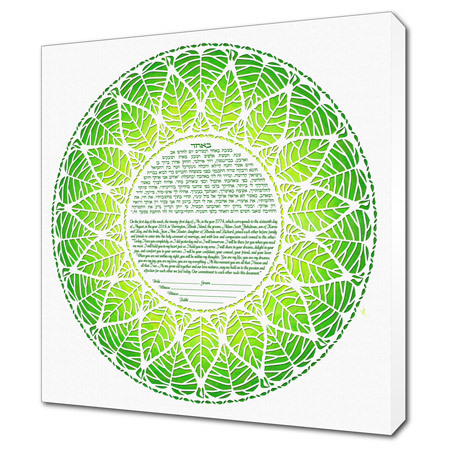 The petals point to the Hebrew word for life, "chai," repeating around the perimeter of the ring.